On July 20th, 2019, Bergen County’s United Way, PSEG, Port Authority, and the aviation community will lace up their shoes at the oldest operating airport in the metro area to run to support Bergen County's United Way to build safe affordable homes for local military families. Veterans form 5% of New Jersey's population. For many of our heroes the idea of a home can feel far out of reach. Veteran Men and Women in New Jersey have given selflessly to serve our country. Join nearly 1000 military and civilian runners, spectators and volunteers on the runway and local military families a place to call home. 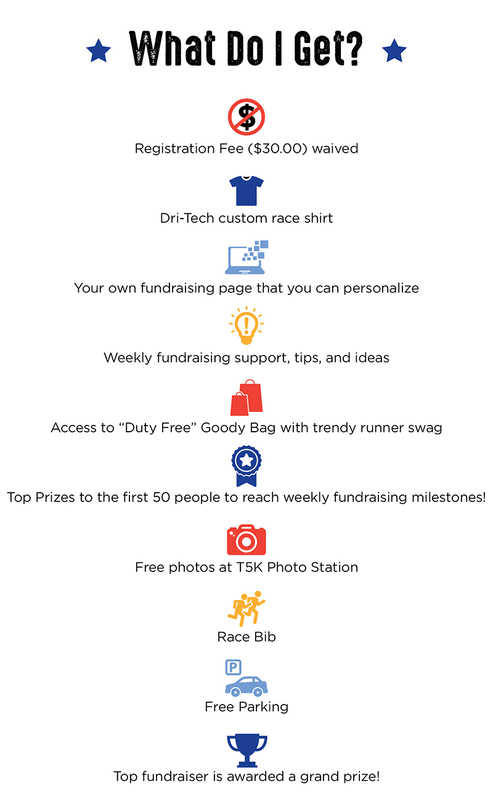 Join us as a fundraiser and discover how empowering running for others truly is! *If you sign up to fundraise, you will be asked to submit your credit card information to secure your bib number. YOU WILL NOT BE CHARGED unless you are unable to meet your $125 fundraising goal for the event by July 13th. If you do not meet your goal, the system will automatically deduct the full amount or the remaining balance on July 15th. Top fundraising team is awarded a grand prize! If you don't want to run but still want to experience the excitement of being part of this historic race, sign up to volunteer! You have no teams at this time.